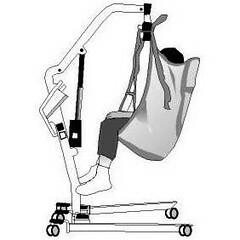 Mechanical lift devices like the ones shown below are widely available now yet caregivers continue to hurt their backs at higher rates than any industry. 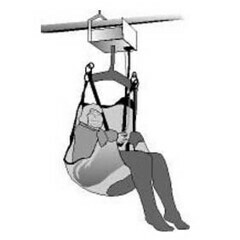 We suspect part of the problem is due to new activities like sling insertion that caregivers have to perform in order to use the mechanical lifts. 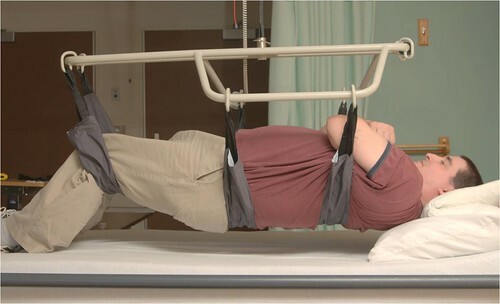 Getting a sling under a patient can be very difficult, particularly with 300 or 400lbs patients. It usually involves rolling the patient from side to side on the bed while tucking in the sling while balancing the patient. To find an easier method to insert a sling under someone. We have developed a tool called SlingSerter that uses compressed air to effortlessly get lifting straps under someone. We’re working with a commercial partner to refine the design to bring it to market very soon. We have tested the device with over 60 caregivers who gave us their feedback on the device. The design was modified based on this feedback and we’re about to do another round of testing to understand how to make lifting as comfortable as possible for heavier patients (300lbs and above).